NEW PRODUCT – Precision screwdriver set (6 pieces) « Adafruit Industries – Makers, hackers, artists, designers and engineers! NEW PRODUCT – Precision screwdriver set (6 pieces). Break seals! Void warranties! With this handy screwdriver set at your hands, all hardware you touch will open up and reveal their secret innards. Ooh! Very nice! 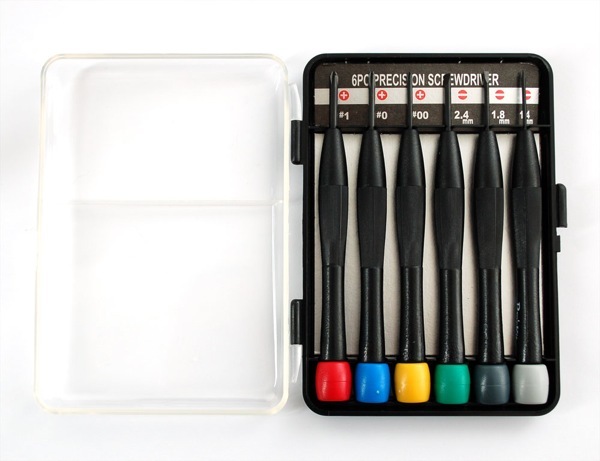 My current miniature screwdriver set is a cheap $2 set with no Phillips, and the usual thin metal rods… this set would be quite a nice upgrade! 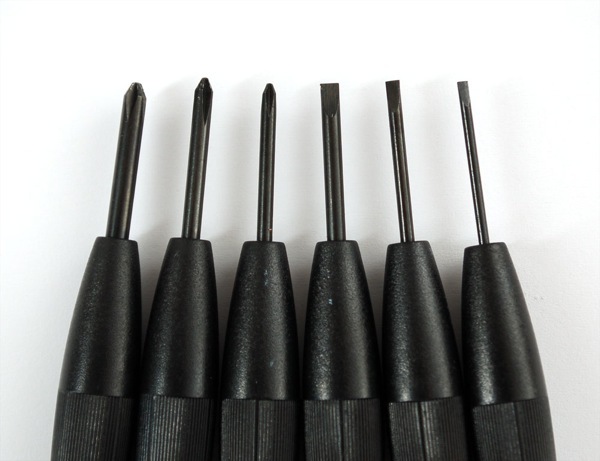 You need to get some nice torx precision drivers with a good size shaft for disassembling most modern day electronics. I have one that has multiple bits in the handle. Also some that will work with a variety of security screws. I thing the important thing is a good size shaft. A lot of enclosures seem to have the screws recessed in them. I went on a screwdriver binge a few years ago when I couldn’t open a case. The best I found were the Wiha sets (e.g., their “System 4” series). They cost about 4x as much as this set, but the quality is very good.